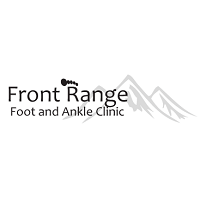 Welcome to Front Range Foot and Ankle Clinic What We Do Foot-and-AnkleVisit Front Range Foot and Ankle Clinic for consultations, office visits, orthotics, and surgery. Our practice specializes in the treatment of all types of foot and ankle problems, including Laser Treatment for Nail Fungus Infections. For a specific list of what we treat, check out the Services We Provide. Our office recognizes that we are treating people, not simply feet. As such, we strive to maintain an atmosphere of respect, openness, and integrity. Our goal is to keep you active and healthy to maintain your desired lifestyle.